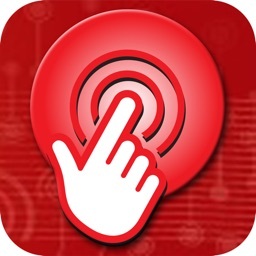 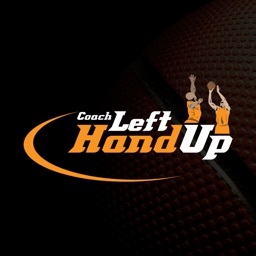 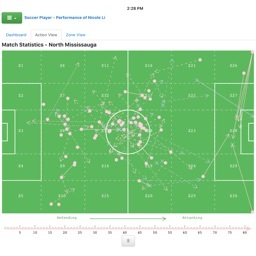 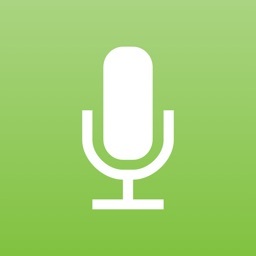 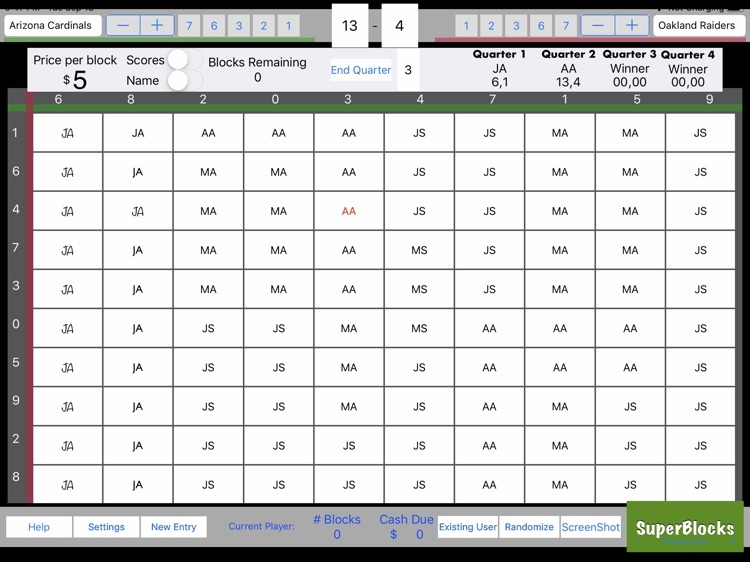 This app can be used for tracking the numbers in a sports game. 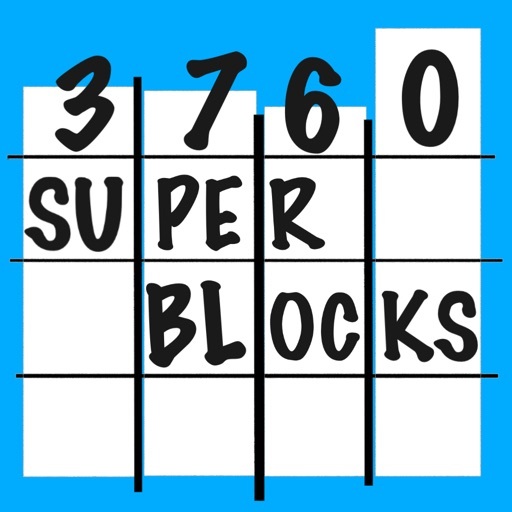 The "Block Owner" can use this to manage the game. 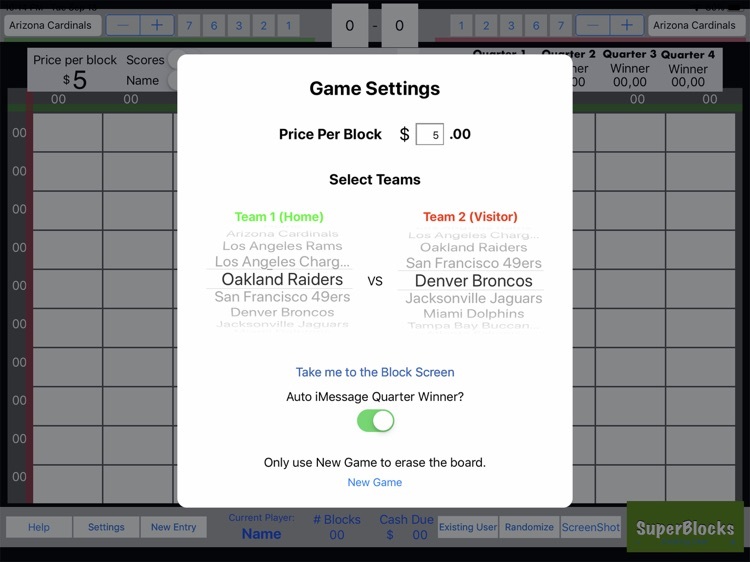 SuperBowlBlocks makes it easy for a user to enter their information and choose the blocks they want. 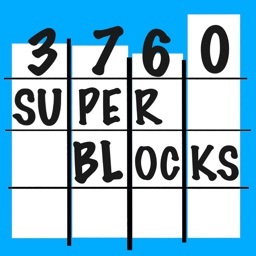 After the blocks are full, the Block Owner can "Randomize" the scoring numbers for the big game. 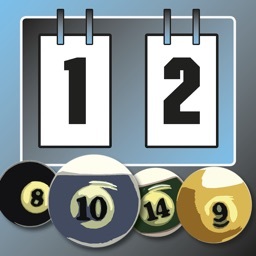 The Randomize action generates one round of random numbers. 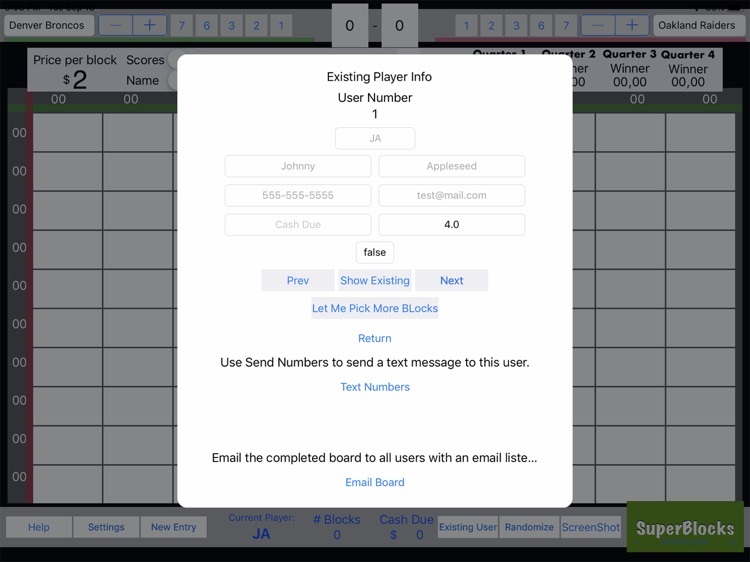 Screenshots of the board can be taken and then sent to the players. 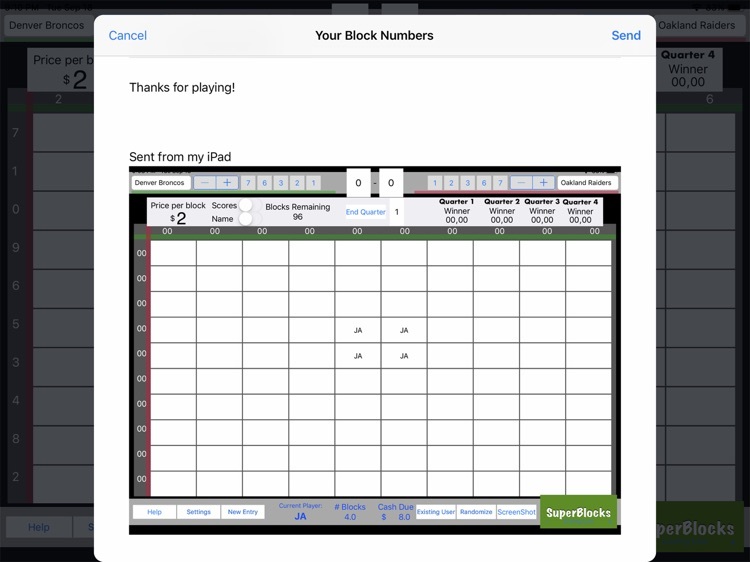 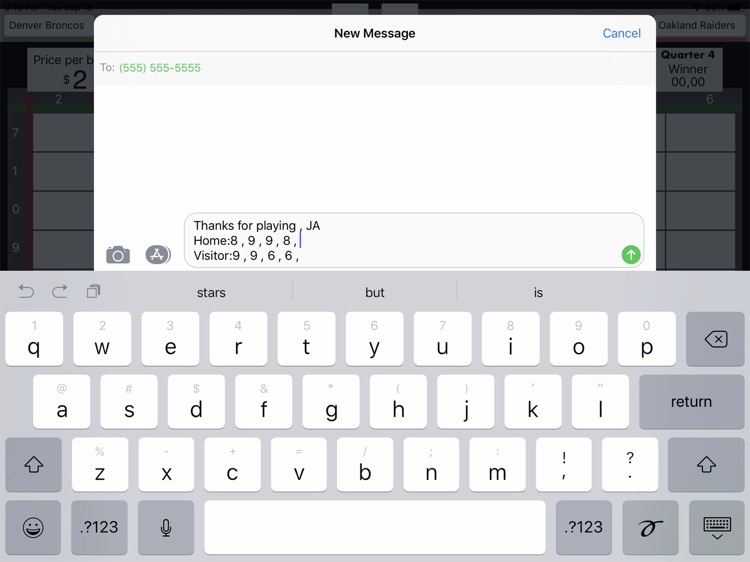 A message can be generated from device with messaging enabled to send out to the players notifying them of the winning block numbers.